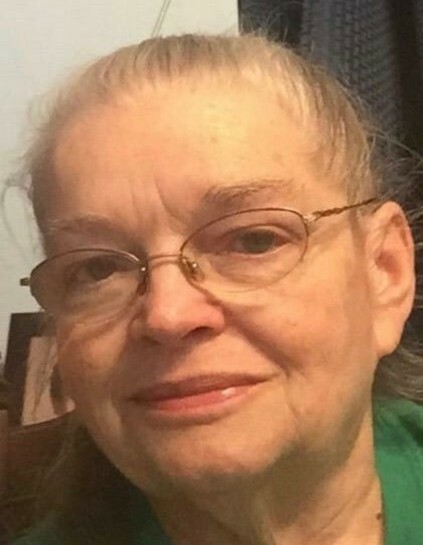 Bonnie Lee Deery (Moore,) age 71, of Wilmington, Delaware passed away peacefully on March 14, 2019 surrounded by family at Compassionate Care Hospice at St. Francis Hospital. Born July 4, 1947 in Wilmington, Delaware to the late Robert H. Moore and Rose Marie Sabbato (McMichael). Bonnie was a devoted homemaker and a special friend to many. She enjoyed crocheting, playing cards and Rummy K with her family and spending time with her baby girls, Brooklyn and Little Bit, her beloved pit bulls and Whiskers the cat. She mostly enjoyed spending time with her grandchildren and her great-grandchildren. Bonnie was preceded in death by her husband of 31 years, Charles B. Deery Sr. and her brother, Joseph Wheatley. She is survived by her children, Charles Deery Jr. and his wife, Sue of Franklinville, NJ, Joseph Moore and his wife, Sherri and Carol Bahr, all of Wilmington, Delaware, Sheila Walsh and her husband, Kerry of Humble, TX, Sherry Carner and her husband, Mark of Christiana, PA. Bonnie will be greatly missed by her countless number of grandchildren and great-grandchildren. She is also survived by her brothers, John and Tony Sabbato; and sister-in-law, Pam Lynch of Wyoming, DE; and numerous other extended family, friends and neighbors. A Viewing will be held on Wednesday, March 20, 2019 at Brandywine Valley Funeral Care, Beeson Chapel, 412 Philadelphia Pike, Wilmington, DE 19809 from 10:00 a.m. until 11:00 a.m. where a Funeral Service will begin at 11:00 a.m. Burial will follow in Riverview Cemetery, Wilmington, DE. In lieu of flowers, donations may be made to Compassionate Care Hospice, 701 N. Clayton Street, Wilmington, DE 19805 or Delaware SPCA 455 Stanton Christiana Road, Newark, DE 19713.